The following is a recap of a panel discussion moderated by Annick Miller, Director of HR Consulting at Namely and featuring David Hassell, Co-founder and CEO of 15Five; Kristy McCann Flynn, Founder and CEO of GoCoach; and Lauren Melton, VP of People Operations at Ellevation. 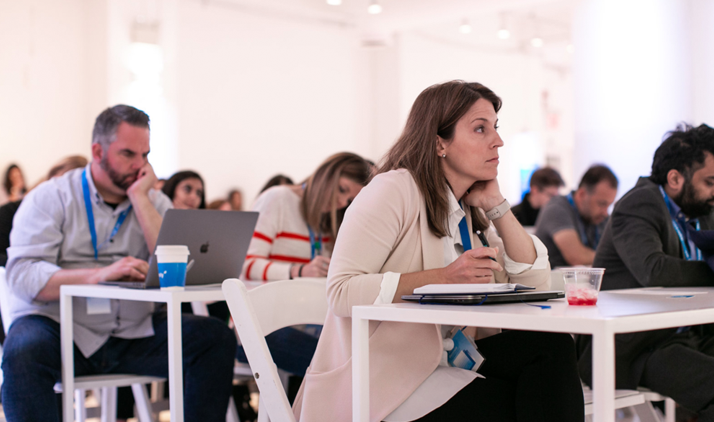 For a full recap of Namely’s HR Redefined 2018, click here. Among all the challenges HR professionals face, few are more important than measuring and addressing employee performance. Unfortunately, it’s also a topic fraught with questions. Are ongoing feedback sessions preferable to traditional annual reviews? Should performance and compensation be discussed separately or together? These are just some of the issues talent experts grapple with today. Annick Miller (Namely): How does your company culture influence the way you approach performance management? David Hassell (15Five): I believe peoples’ output has a lot to do with the culture they’re in. Before you even think about performance management, you need to focus on engineering the culture. Only when there’s a sense of flow and a positive sense of well-being does introducing performance management make sense. Kristy McCann Flynn (GoCoach): I completely agree. If you don’t have culture, you don’t have anything. Don’t try to push performance management if your company isn’t ready. You need to define your identity and values first. When you do put performance management in place, those values become the beacon guiding how you manage individuals. 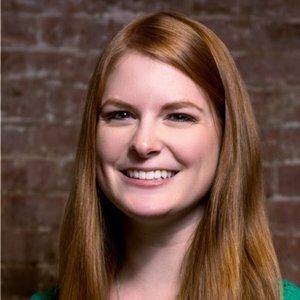 Lauren Melton (Ellevation): I was lucky when I came into Ellevation because they had spent a lot of time building a feedback model, training everyone on it, and making sure employees actually used it. That laid the groundwork for us to move away from annual reviews and create an ongoing feedback plan. I’ve been at other companies where they were nowhere ready for that. AM: How can you introduce and promote continuous feedback at your company? KF: Having a performance conversation only once or twice a year is completely ridiculous. The whole continuous feedback model is something that should be natural because, at the end of the day, it’s just communication. We’re spending all this money on systems and tools, but performance is just about talking to each other. Stop worrying about the process and start talking and helping each other out. We’re not here to pin each other up against the wall and say, “You’re doing this wrong.” It’s about how we can elevate each other. LM: The first year I got to Ellevation, we created the framework and the questions before we found our tool. We wanted to make sure people knew how to have the conversations and were having them before we focused too much on finding the right tool. DH: I think there’s a mindset that has to be there first. There has to be buy-in, not only from leadership but also from everyone in the organization. People have to know how to give and get feedback. Once that’s established, a tool and a structure help. If you have the right structure but not the mindset, that’s a recipe for failure. AM: How does continuous feedback relate to structured annual or quarterly reviews? LM: At Ellevation, we had two ongoing programs, the first being “insight meetings.” The key is that we don’t have the managers schedule these. We have the employees schedule them. The idea is that the employee is driving their development and growth and owning it. We also have “discovery meetings,” which are more of a deep dive into performance. We use a chart with results on one scale and behavior on the other. The employee plots themselves, the manager plots them, and then they talk through any differences in their assessments. The teams who have ongoing, monthly insight meetings usually have no discrepancies between their charts. They’re completely aligned and those conversations go pretty easily. We see less alignment and more challenging conversations with the teams who don’t have the check-ins so often. KMF: I love what you just said. It’s all about flipping performance management. When I was the head of HR, I got tired of chasing down managers. You’ve got to look at things differently. What we’ve been doing hasn’t been working. Stop trying to get your leaders to do stuff and start trying to get your workforce to manage up and do it themselves. At the end of the day, there are a lot of people in the workforce and only a few leaders. Once you get that coalition going, there’s bound to be a change. AM: How can you get leadership buy-in when you’re making big changes to your performance management strategy? LM: While we have an employee-led process, having leadership buy-in is so important. Using data to show the importance of your strategy is huge, but you can also use your hands. I learned this technique at a performance solutions workshop. An annual review happens over 12 months, right? So hold up all your fingers. Yes, you’d need two more to get to 12, but you get the jist. Out of those 12 months, how much time do you think people can actually remember and reflect on? Probably a couple weeks, right? One month? So only hold up one finger now. It’s totally flawed. Using those simple hand gestures to explain and get leadership buy-in has worked wonders for me. DH: We’re all inherently biased, even though we’d like to believe that we’re not. There is something called the recency bias. It’s easier for people to remember what happened recently over what happened in the past. One benefit of continuous feedback is that alignment piece. Just like what Lauren saw with her employees, there’s less discrepancy when people meet frequently. Storing all this frequent feedback online helps when you sit down to do a structured review. You have all of this data that you can look back on. For more reserved employees, how can we tailor the process and engage them in a way that doesn’t put them off more? KMF: I think you have to get to the core of why employees feel that way. Listen to them and figure out how we can work to get them the development they need. Everybody wants development, but it’s not a one-size-fits-all program. I think a lot of us went into HR wanting to help people. In order to help people, you’ve got to listen. DH: Interestingly, we’ve found the opposite to be true. Our reviews are very popular with our engineering teams. I think part of it is knowing the right questions to ask. If your people know their managers have their back and that this process is for them, they tend to be more forthcoming. LM: I definitely think the questions are a big part of it. It takes away a big percentage of that fear going in to a review if you share or answer those questions in advance. Then when managers and their direct reports have a conversation, they know exactly what they are going to discuss. There are no surprises. How do you get performance management participation when there’s nothing at stake if employees don’t do it? LM: I tell employees that I don’t police their participation. If you don’t do an insight meeting, I won’t know. But you know who’s going to know? The employee and their manager will know they didn’t do it, and that’s who it’s hurting most. KMF: Accountability is the biggest issue. If an employee is not being accountable, there’s something wrong. Do they not want to be accountable for something because they’re afraid? Because they don’t know how to do something? Try to find out what that accountability issue is and then figure out how to address it. AM: Should you tailor performance management to different generations? DH: Even though I believe there are generational differences, especially between baby boomers and millennials, I think performance management addresses fundamental human concerns that are the same across all generations. LM: I think you have to tailor it to the person. We built this into our onboarding process. We ask new hires a set of questions on their working styles. How do you like to receive feedback? What’s most important to you at work? Questions meant to get to know how that person likes to work, as well as how that person likes to give and receive feedback. That little questionnaire is one of the most critical elements in how we run our performance management process and shape it to the individual. AM: What are the advantages of separating performance and compensation discussions? KMF: When you attach an incentive to feedback, people feel like they’re only having the conversation to get money. I think we need to change how we approach compensation. You should be pragmatic with your compensation methodologies by setting up ladders and lattices that show the different ways people can go up. If someone wants to go from Product Manager to Senior Project Manager, you need to outline the competencies expected from someone in that role. If someone meets all the criteria, then they deserve to be promoted and get their 10 percent raise. DH: There’s research that shows that combining performance management and compensation discussions can to lead to a perception of unfairness. When you just focus on giving feedback for the sake of supporting employees and improving their performance, you take out the stress and anxiety associated with performance reviews. Of course, when you do a performance-compensation evaluation, there’s going to be some performance component. But by decoupling the two you remove those issues. LM: Massachusetts just passed this equal pay law to make sure that women get paid the same as men for doing equivalent work. Here we are at Ellevation, two years into throwing out our rating system, and that’s one of the criteria that the law wants you to have in place. We’re going to have to figure out how to incorporate the two. Massachusetts and California are usually the first states to pass new laws like these, so I’m sure similar legislation will pop up in other states soon. A company is only as successful as its people are. Measuring their performance and building a culture of accountability is a critical facet of HR’s role in the organization. Unfortunately, according to a report by Gartner, only half of teams can actually tie their talent metrics to ROI. It’s time to get serious about performance management. From planning to execution, this guide from Lattice and Namely will give you the essentials needed to build a culture that embraces feedback. Are You Ready for Performance Reviews?